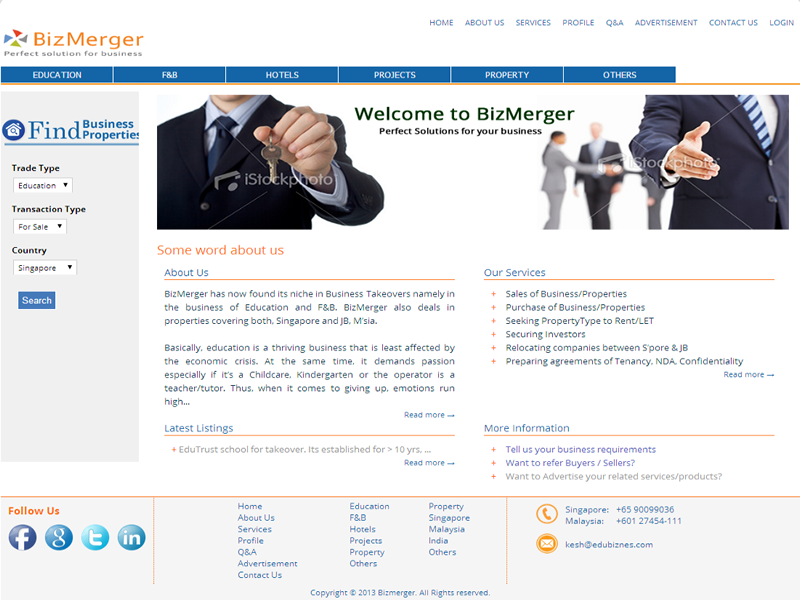 BizMerger is a Singapore based Property and Business real-estate company. ITWerks developed new web application for them. Currently we doing pilot test for the application. And this site will be launched end of next month (August 2014).